The Spirit of Giving Back | Roland Dumont Agency, Inc. 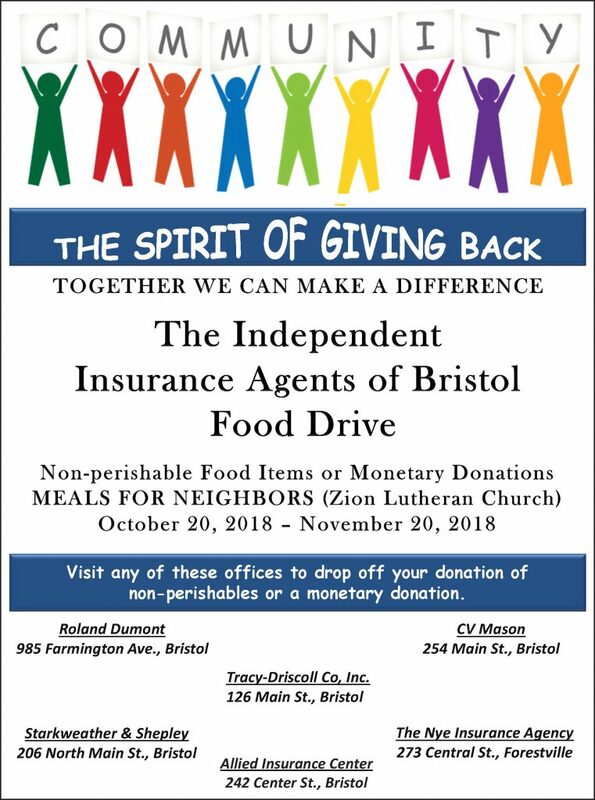 The Independent Insurance Agents of Bristol Food Drive are combining forces and collecting non-perishable food items or monetary donations for MEALS FOR NEIGHBORS (Zion Lutheran Church) from October 20, 2018 to November 20, 2018. Visit any of the offices mentioned below in the spirit of giving back. Together we can make a difference! ← Collision or Comprehensive? Choose the Coverage That’s Right for You!